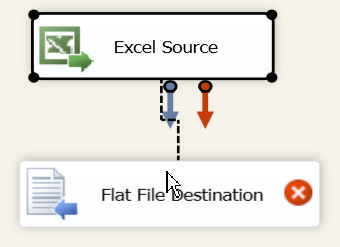 Using an existing flat file in SSIS is straightforward, but creating a new one can be a pain - this blogs gives some steps to follow. 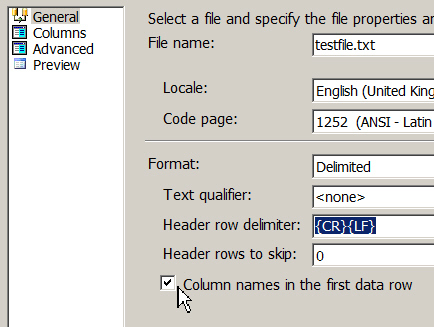 SSIS works pretty well, on the whole, but it always throws me when it comes to creating flat files (writiing to existing flat files is fine, because the column headers are already set up). So here's a quick run through to provide help for anyone who needs it! The text file produced by the package. 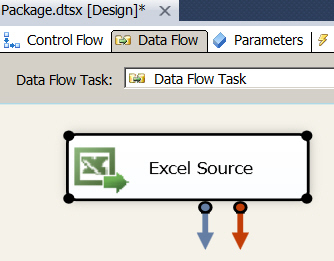 The data flow task should contain an Excel source. 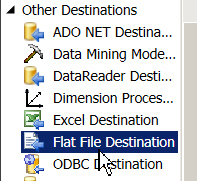 Double-click on this destination to add it to your data flow task. 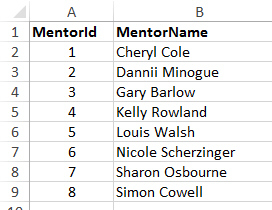 Feed the output from the Excel workbook into this new flat file. There is no flat file connection yet, not surprisingly. 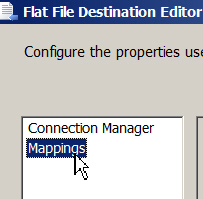 Click on this button to create a new flat file connection. We're going to go for a simple comma-delimited flat file. You can also click on the Browse button (not shown in this diagram) to change the folder in which the file will be created. 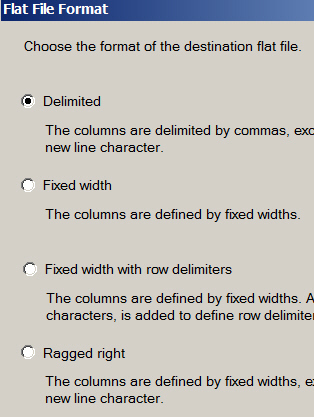 You should normally tick this box to create a first row giving the column headings. 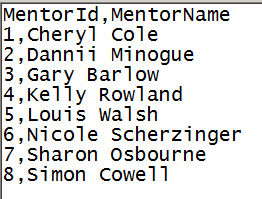 The columns MentorId and MentorName have been created for you. Click on this tab to map your columns in the usual way. Everything should now work normally!